There are a multitude of options for business email and contact management in technology today. From cloud services to uniquely designed programs, Unconfusing Technology wants to make sure whichever avenue you take your company has all of its business email concerns attended to. "The Cloud" generally represents any server that is not located on your premises but is accessible through the internet. Cloud based tool provide very reliable business email solutions. The best part about The Cloud based email and contact management solutions is the fact that there is no cost of ownership to the company. Rather than dealing with the maintenance of your own servers, connections, and uptime, this is the responsibility of the provider. 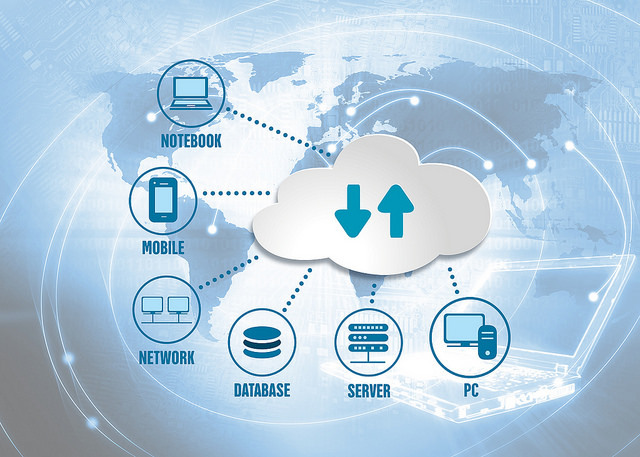 Cloud solutions for email can also include file sharing capabilities and online meeting options. Popular providers of cloud email services are Google and Microsoft 365. Unconfusing also hosts an in-house website and email solution with contact management that is very popular. Unconfusing evaluates the needs of each of our clients and will help you find the best email and/or contact management services "grounded" in The Cloud, as needed, for your company. Maybe you would prefer not to have your email services based in The Cloud and you would rather have a personalized solution. We have many clients who host their own email and run their own servers. We can help them manage and maintain those servers. Unconfusing is always willing to work with customers on any of their IT needs. Unconfusing Technology has developed custom business email and extensive contact platforms for our clients that often stretch beyond the personalization capabilities of Cloud services. This would give your company full access, control, and management of whatever email and contact management services on your own terms.